Well, those allergic to horrible cliche’s best look away now. Ok, wait, no. We were kidding, page engagement matters to all of us! So have you ever heard of that wonderful phrase, “The customer is always right”? Well, it turns out, they are! What went wrong with the marketing funnel? The failing of our traditional marketing funnel was that it relied on linear buyer behaviour. 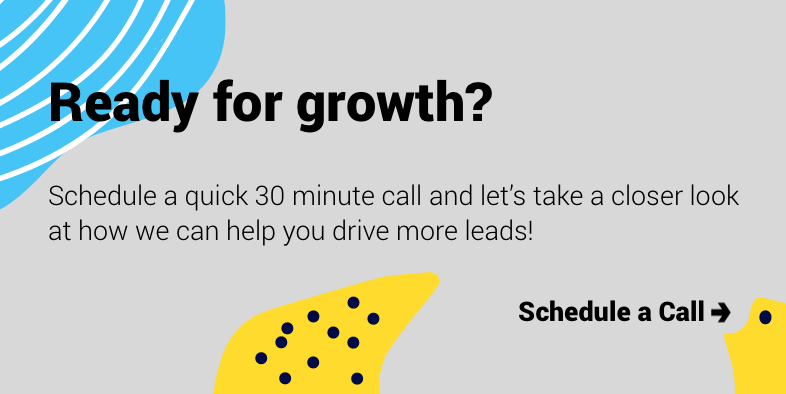 Drive traffic, convert some of that traffic into leads and in turn, convert some of those leads into customers. Job done, right? Well no. Not quite. With the funnel approach, all the momentum we gained in acquiring the customer often gets cast aside once they signed on the dotted line. Focus immediately shifts to the next customer waiting in the wings, and so the cycle goes. For the marketing funnel to work, we are all under pressure to keep adding momentum at the top of the funnel (traffic) and look for ways to get leads to the bottom of the funnel faster. The problem with that approach is that humans seldom behave in a linear fashion, and our customers aren’t done once they become customers. Customers aren't solely an ‘output’ at the bottom of the funnel anymore. Our own experience within the walls of Uku headquarters, and HubSpot’s very own Inbound 2018 shows that customers are far more of an ‘input’ than we ever thought! Which means a lot of agencies and businesses will need to rethink their old growth models! So what is a 2019 growth model then? The marketing flywheel of course. The hint is in its name. A flywheel centres around rotational energy. Apply energy and effort to one side of the flywheel and it spins. Add a little more energy and it spins a little faster. Going back to that horrid cliche from the first paragraph, our customers really are right. 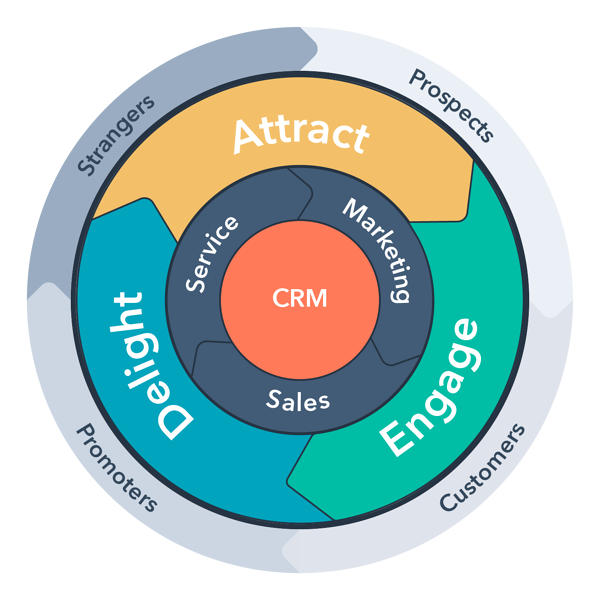 Keeping your customer's happy means you’re applying energy to the marketing flywheel which in turn will keep spinning. Driving more business for you and turning your customers into brand ambassadors. According to HubSpot, and more specifically Brian Halligan, all of the energy you should be applying to the flywheel should centre around keeping your customers happy and successful. The happier they are, the more positive energy you’re applying to your flywheel, the faster your flywheel spins, the faster your business grows. Happy customers spread the word. Word certainly spreads fast. Conversely, of course, customers who are unhappy or decide to leave due to poor service or results apply negative energy to your flywheel. Unhappy customers spread the word too. Only that word spreads even faster and often has a lasting impact on your business's reputation. What does that mean for marketing teams in 2019? Well, HubSpot’s flywheel approach and predictions for 2019 firmly place existing customers at the forefront of their strategies, not just new ones. Naturally, HubSpot has released a host of new features, including the services hub, that speaks to that. What’s become clear is that marketing’s role is not solely to drive new leads for our customers. Marketing now needs to extend to focus on more than just conversions, but rather an advocacy from our customers. Ensuring there is no friction between sales, marketing and support teams to bring organisational success to our customers. So what makes a great flywheel then? Your flywheel spins faster when you apply more energy to it. That’s not to say just applying energy anywhere on the flywheel makes sense, it’s about applying more energy to the area which should provide the biggest impact on your flywheel’s speed. In the old funnel approach, we would all apply energy to acquiring more traffic and converting more leads, the flywheel approach focuses on applying just as much energy to current customers. Keeping them happy and successful will grow your business as a result. The age-old battle between marketing and sales doesn’t provide any momentum to your flywheel. Finding ways to align teams, optimise processes and generally working together with sales teams of your customers doesn’t only help the customers. This one is simple really. The more happy customers you have, the heavier your wheel becomes. Heavier wheels may take a bit of energy to get going, but once they start spinning they produce a lot more energy! Think of the last restaurant you went to that had only 1-star reviews? Can’t think of any? Neither could I. Word of mouth marketing certainly isn’t dead. At Uku headquarters we can attest to that! Buyers are relying increasingly on peer reviews and advice when making their purchasing decisions. As marketers, we cannot ignore those trends and the buyer’s obvious needs. Placing a focus on maintaining happy customers, and spinning your marketing flywheel not only drives more success for your customers but ultimately grows your business too.